One day in preschool, a friend of mine needed green paint to complete her finger-painting masterpiece. The problem was, we only had yellow and black paint. Thinking of a way to help my friend, I took up my paintbrush with my tiny hands and swirled the colors together. Before my eyes, the yellow and black paint transformed into a color that resembled an olive. Problem solved! 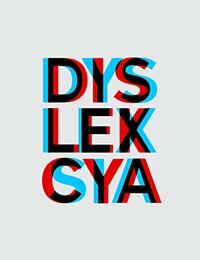 While people with dyslexia have many learning difficulties, they also have unique strengths and one of mine is problem-solving. 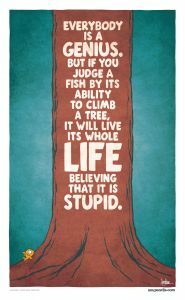 The issue with dyslexia awareness in the world is that the understanding stops at a learning disability. Have you have you ever heard someone mix up words or numbers? Or spell something incorrectly? Afterwards, have you heard the comment, “I’m a little dyslexic” or “I just had a dyslexic moment.” These instances demonstrate a surface level of understanding as they only highlight the negative aspects of being dyslexic instead of the positives. Have you ever heard someone SOLVE a problem and say; “Yep, I just had a dyslexic moment”? Probably not. Then, in a graduate course that I took recently, one of my professors brought up dyslexia. 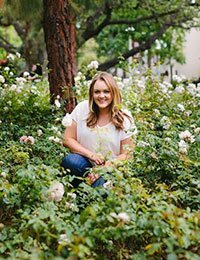 I thought, “Here we go, another person going on about the hardships of my learning disability.” But to my surprise, she referred to having a dyslexic brain as having an “extraordinary gift.” She went on to explain that because people with dyslexia think in a different way, they can make connections and see patterns that other people cannot. For the first time in my life, I considered what I thought to be my greatest weakness as a strength. This shift in my perception empowered me to recognize my seemingly ordinary skills as rare talents. It only took 24 years! Having this realization, I took a ‘trip to the balcony’ to consider how leaders sometimes struggle with accepting their own weaknesses or viewing them positively. 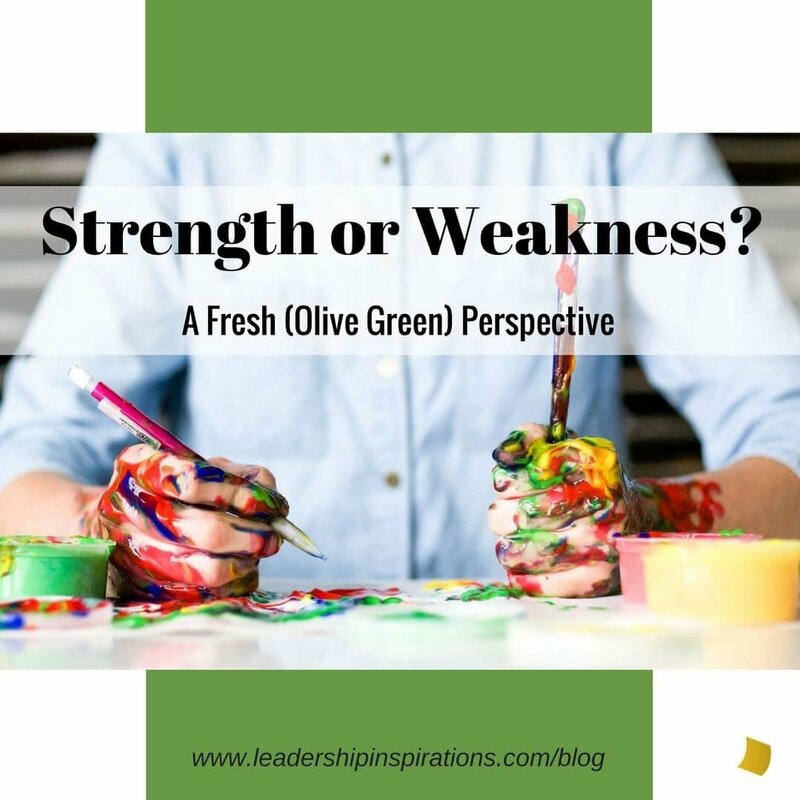 What if we, as leaders, took the time to shift our understanding of weakness, and considered it as a gift? 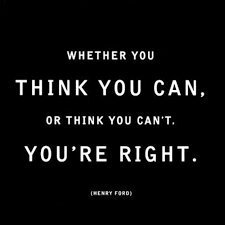 This question can be difficult to consider, but I’ve provided three tips below that can help us think outside the box, explore different ways of doing things, and to practice seeing the bigger picture. Explore Strengths Based Leadership: We all love reading about who we are and discovering our unique strengths. This book and assessment have been used widely over the past 15 years and they discuss how we should switch our focus from our weaknesses and instead use our energy to utilize and develop our strengths! Enhance your Creativity…Take a Walk! Check out this study from Stanford University that gives us some tips and information on being able to increase our creative capacity and problem solving. And finally, get to know yourself! Gaining self-awareness is helpful to discover what may be holding us back. *Dyslexia is a neurobiological disorder that causes difficulties with reading. People with dyslexia often have trouble spelling, recalling words, and distinguishing left and right. Despite these obstacles, people with dyslexia have many strengths and develop coping strategies to service their struggles. They are highly creative, observant, and are able to see the “big picture.” They can also excel in reading people, communicating ideas, and problem-solving. Explore the tips above to develop your strengths and your opportunities for growth! Quick Facts About Me: 1) My dream job would be an SNL cast member, 2) I love to plan parties and 3) I sing in my car like I’m performing a sold out show.